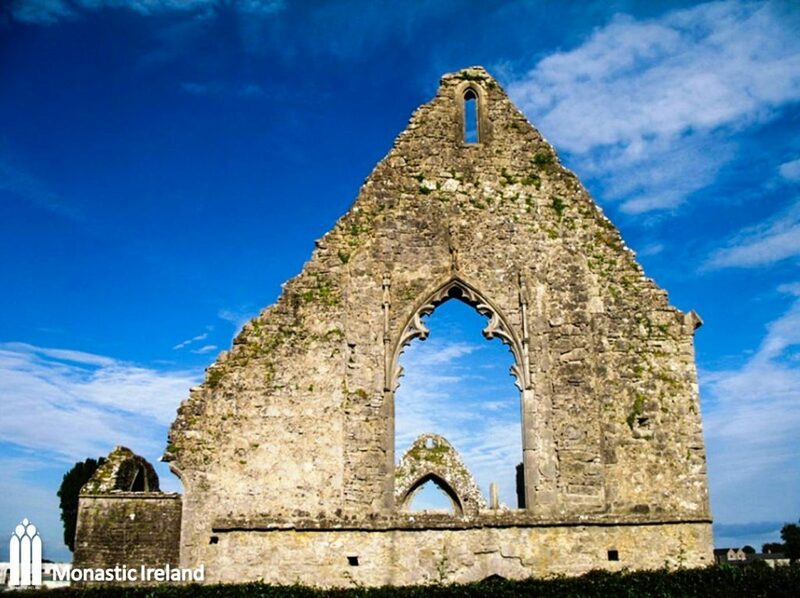 St. Mary’s Dominican Priory is located on the outskirts of the historical medieval town of Roscommon, which at its core includes the Anglo-Norman castle and house of Augustinian canons located on the site of the earlier monastery of St Commán. 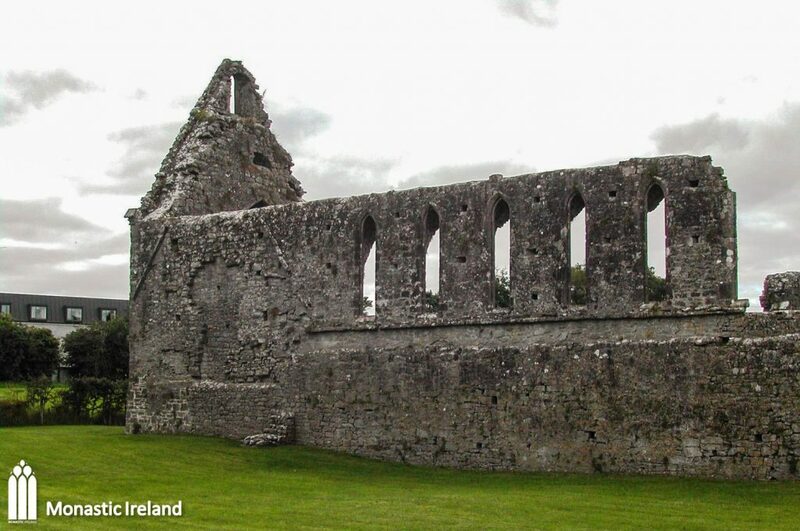 Roscommon priory was one of a number of Dominican foundations established in the west of Ireland in the mid-thirteenth century, the other foundations being Athenry, Sligo, Strade. 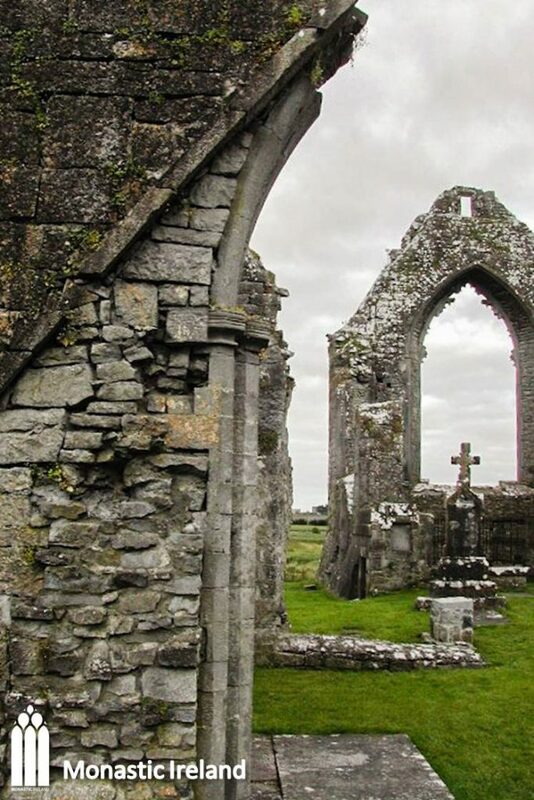 It was founded in 1253 by Felim O’Conor (d.1265), king of Connacht and consecrated in 1257 by the Bishop of Elphin, Thomas O’Conor (d.1279). That the construction was completed in four short years suggests that it enjoyed patronage on a royal scale. 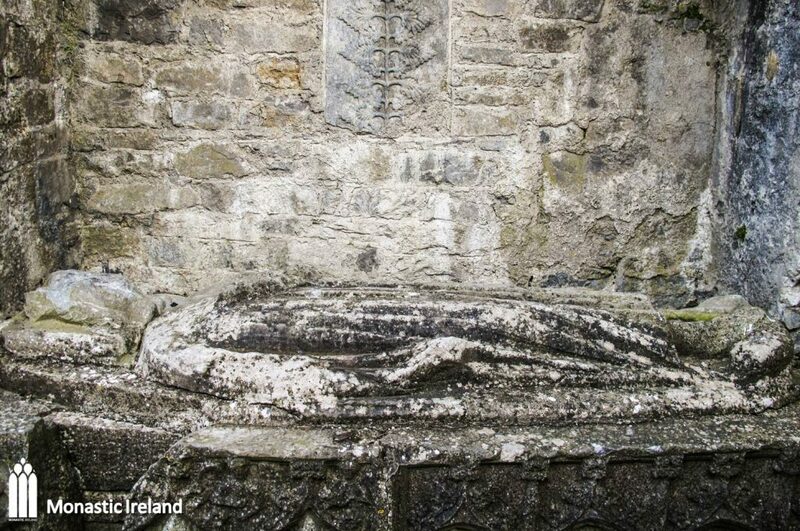 He was buried in Roscommon priory in an impressively decorated stone tomb. 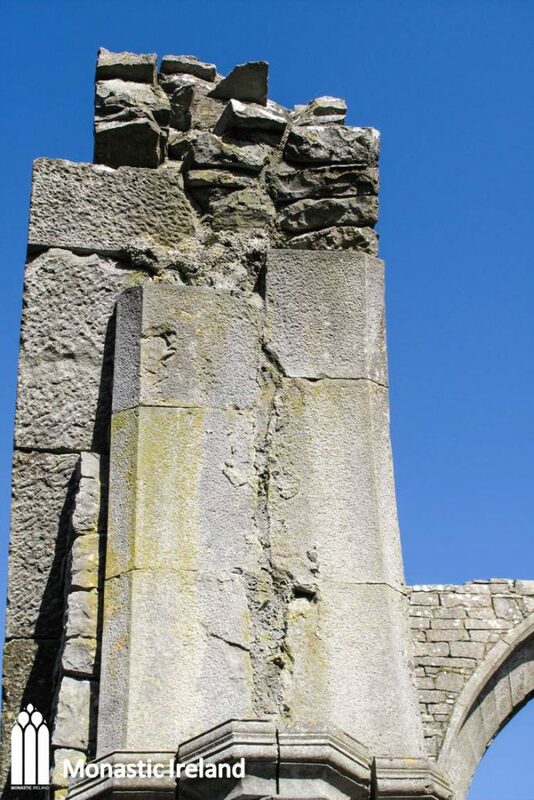 Recent analysis of the buildings has shown that the priory was renovated in the fifteenth century when the tower was added and new windows inserted. 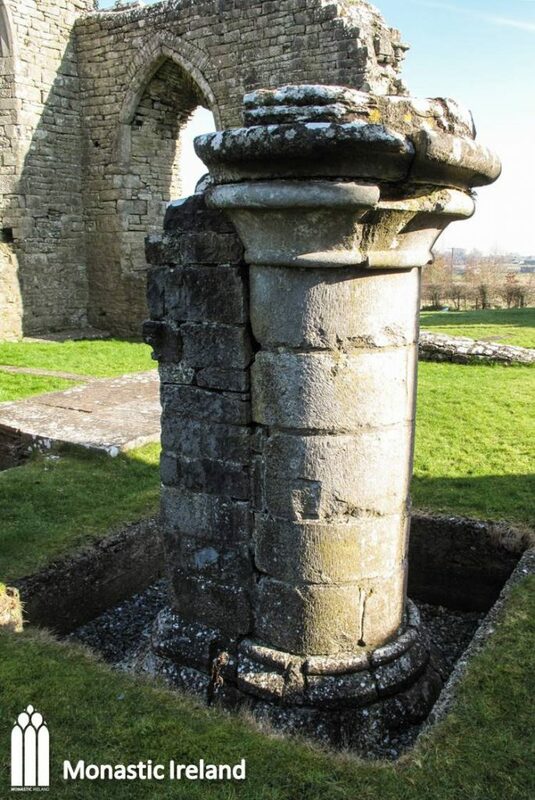 Felim O’Conor (d.1265), king of Connacht was the son of Cathal Croibhdhearg (d. 1224), also the king of Connacht and the principal patron of the Cistercian house at Abbeyknockmoy. 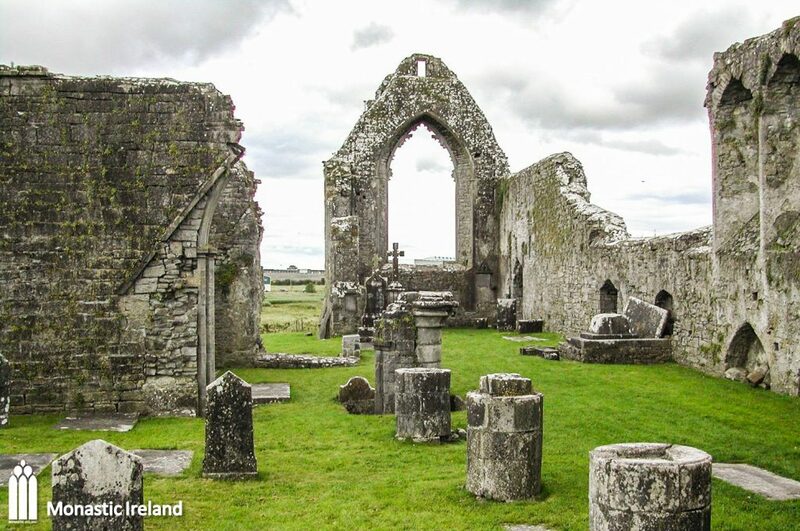 Felim did not obtain the kingship of Connacht after his father’s death, with his brother Áed succeeding in 1224 before his untimely death in 1228. 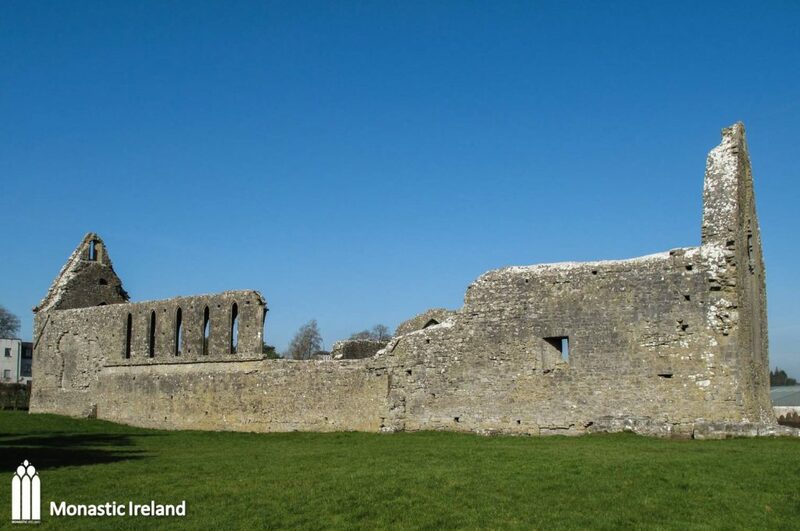 Once he secured his kingship, Felim faced much unrest in Connacht and frequent threats from both the Anglo-Normans, local Irish and factions of his own family. 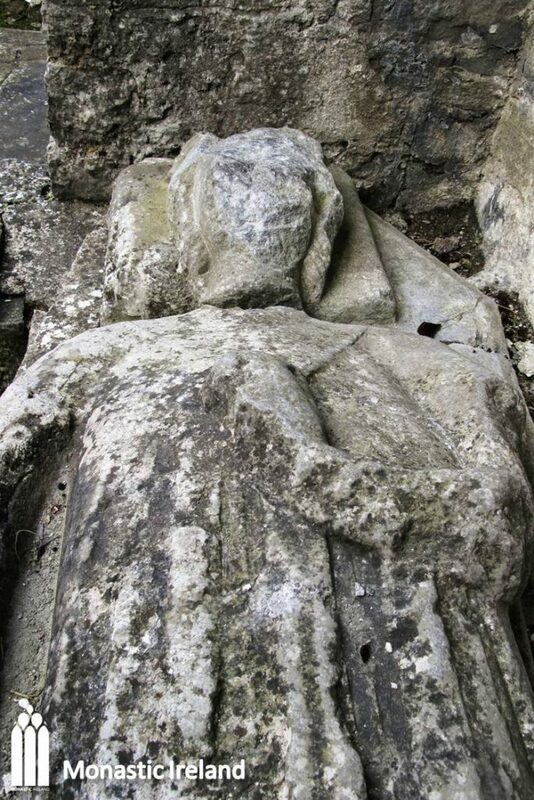 Having already declared his loyalty to Henry III, Felim travelled to England to meet the king in 1240 and took part in his campaigns in Scotland and Wales. 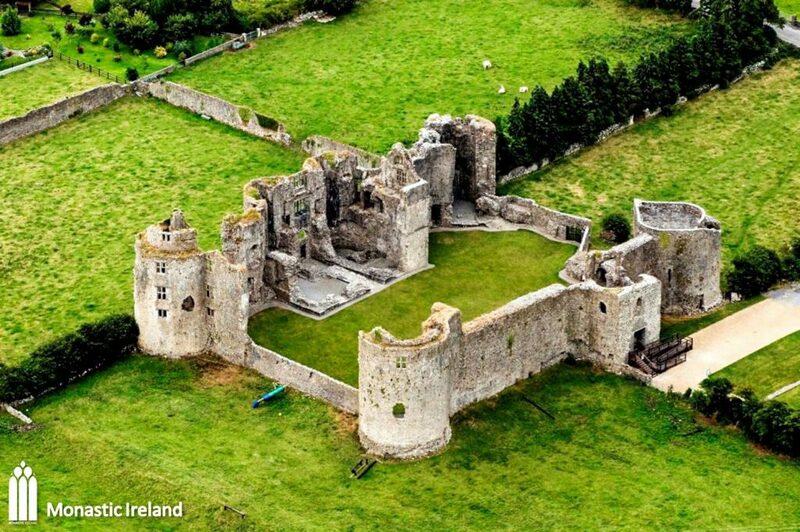 Due to financial distress in the mid-thirteenth century, Henry III began to grant lands in Ireland to supporters, including large parts of Connacht. 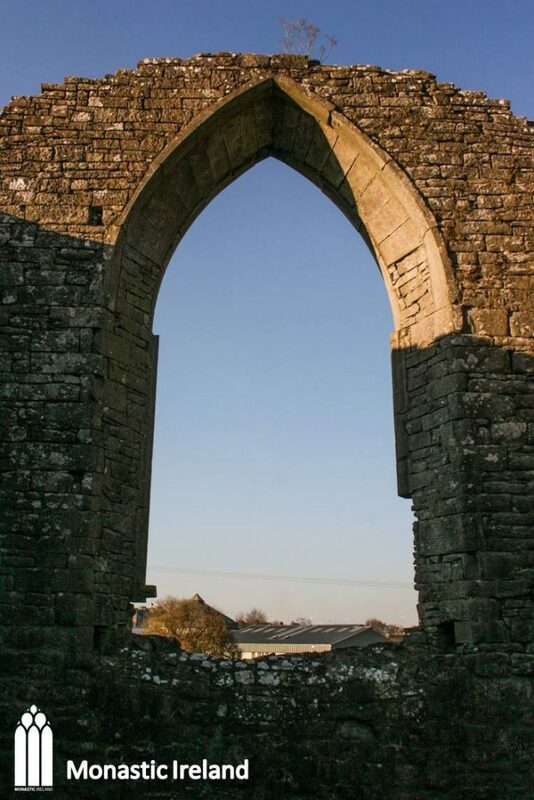 The heartlands of Felim’s kingdom, known as the Five Cantreds, were under threat as a result of the king’s policy and it was at this time that he founded the Dominican house in Roscommon, probably to secure his position in response to the king’s actions. 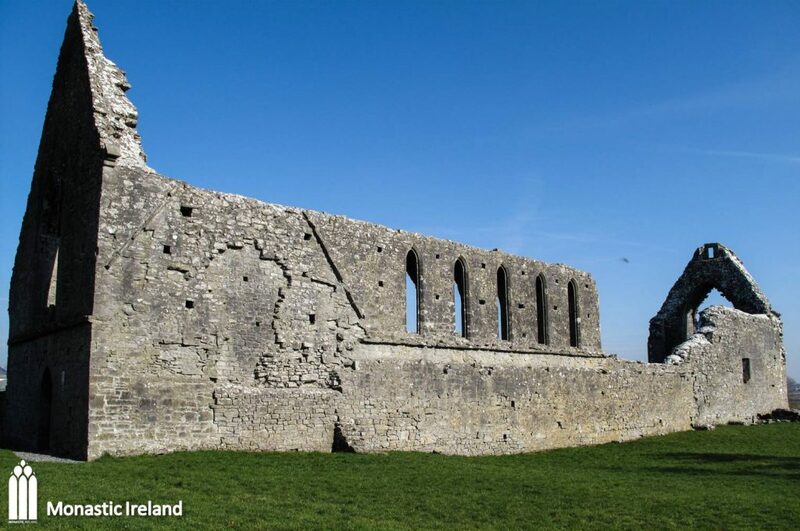 Felim had already sponsored the construction of the refectory of a Dominican foundation in the 1240s in Athenry, Co. Galway whose main patron was the Anglo-Norman lord, Miler de Bermingham (d.1322). 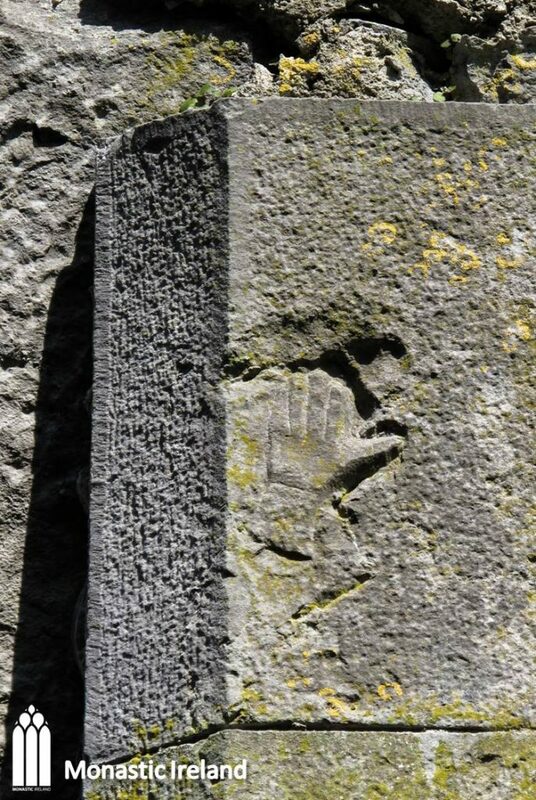 Felim died in 1265 and was buried in Roscommon. 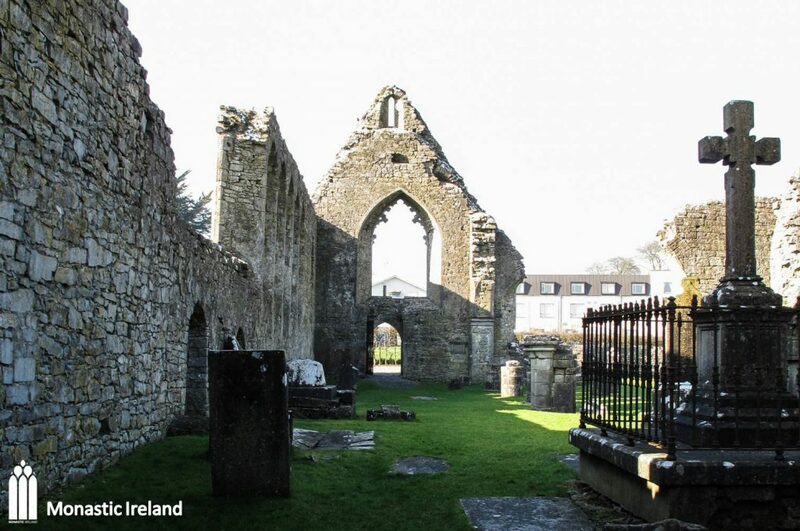 Other members of the O’Conor dynasty and local nobles are likely to have been buried in the priory, many in the nave’s tomb niches. 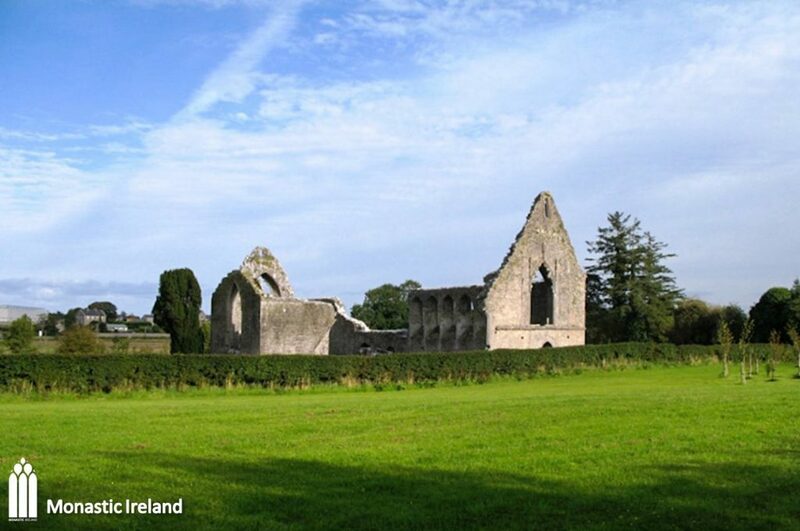 Roscommon was an important medieval settlement and the priory lay on the outer perimeter of the town. 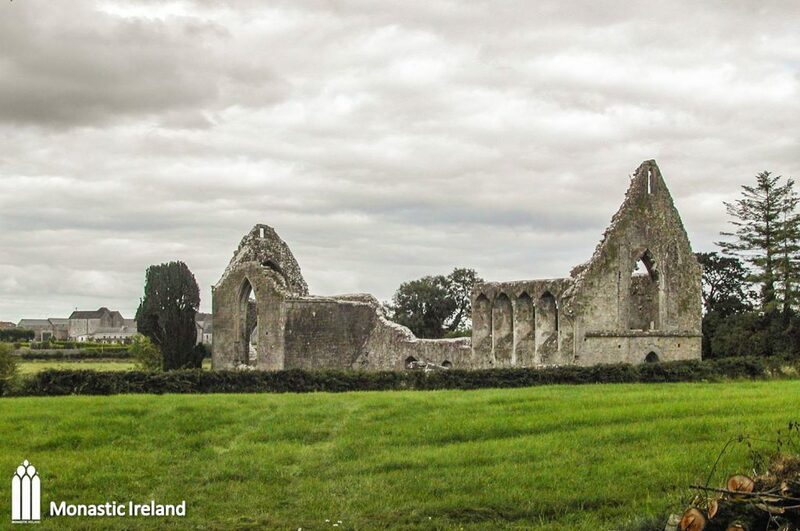 The only standing remains of the priory today are the ruins of its church, but it was a far more extensive monastic complex. 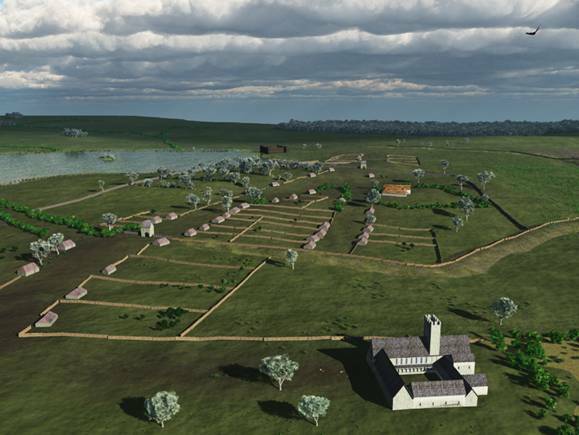 On the south side of the church stood the claustral buildings, which would have included a chapter house, a dormitory above it, a refectory and a kitchen. 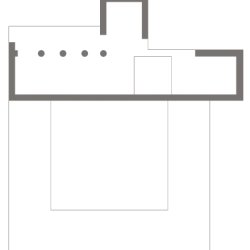 There are two visible phases in the building of the church as it was renovated in the fifteenth century. 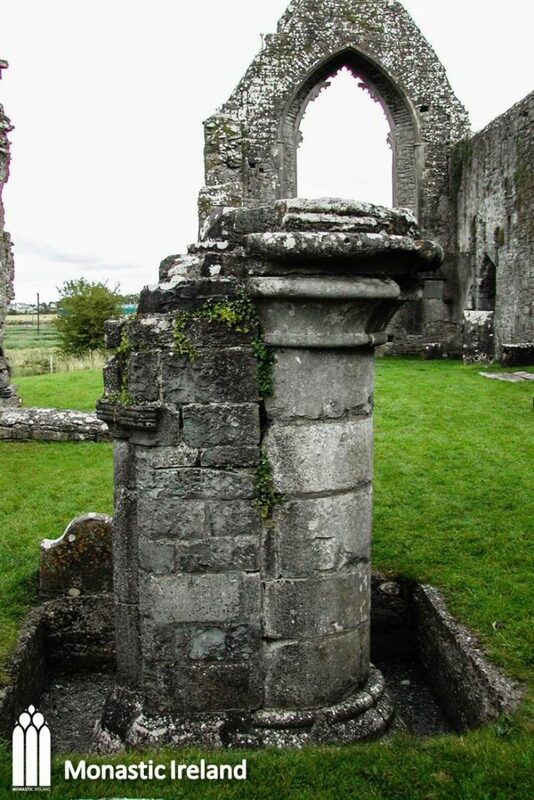 The highlight of the priory is the tomb of its founder, Felim O’Conor, which is located in a niche on the north wall of the choir at the church’s eastern end. 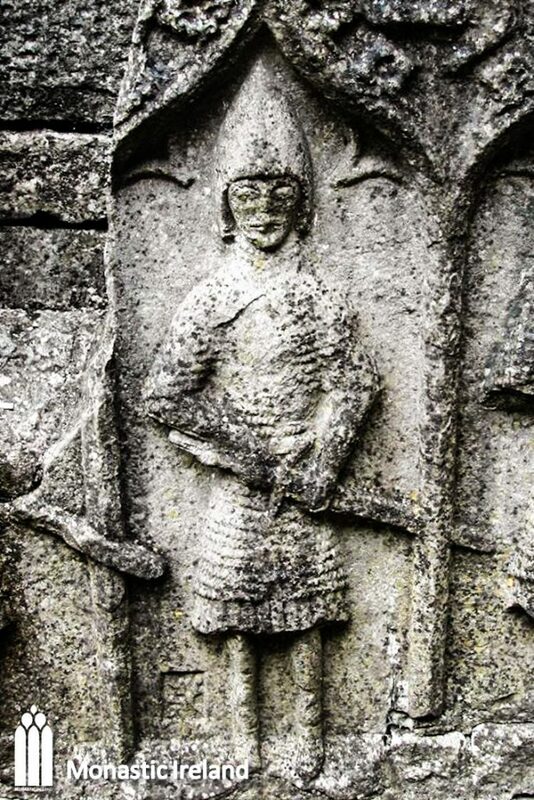 On the top of it, lies the thirteenth-century effigy of Felim, and its fifteenth-century frontal is carved with armed men. The armed men were Gallowglasses, professional soldiers employed throughout the north and west. They wear helmets, chainmail and hold swords or axes. 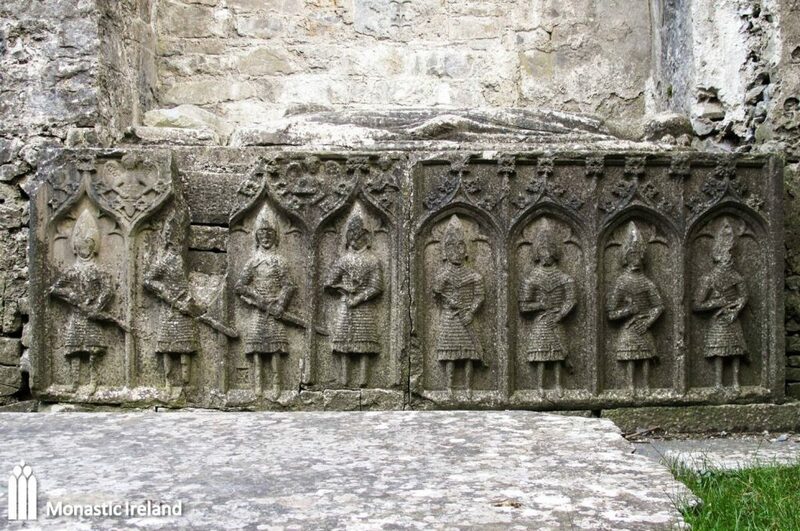 This panel was added during the fifteenth-century renovations to celebrate and venerate the O’Conor connection with Roscommon at a time when they had regained control of the region.